High Museum of Art in Atlanta presents some truly spectacular concept cars: “We dream of cars that will float and fly, or run on energy from a laser beam, or travel close to the ground without wheels. 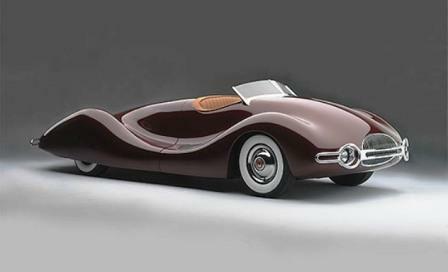 In fact, “Dream Cars” is the second special High Museum exhibit focused on the automobile. Back in 2010, “The Allure of the Automobile” brought together rare and celebrated road and racing cars under the same roof. That exhibit’s guest curator, Ken Gross, is back with “Dream Cars,” a collection of 17 American and European concept cars spanning seven decades. That line was found in The Ford Book of Styling, published in 1963. And it’s the very essence of those words that drove the development of the High Museum of Art Atlanta’s new Dream Cars exhibit, featuring an unbelievable collection of the most amazing concept cars from the past eight decades. Since its debut a little over a century ago, the automobile has gone from a technological curiosity to an elite status symbol to a mass-market daily necessity. During the 1950s, the world’s attention was on the Space Race, the competition between Cold War rivals, the United States and the Soviet Union, to be the first to develop spaceflight capability and send a man into orbit – and idea that previously had been possible only in children’s fantasy books. Suddenly, it seemed an imminent – and inspiring – reality. The mere possibility prompted automotive designers and engineers to see just how far they could push the limits of automobile design and function. Thus, the experimental concept car became a dynamic tool that allowed car designers and manufacturers to demonstrate the most forward-thinking automotive ideas. 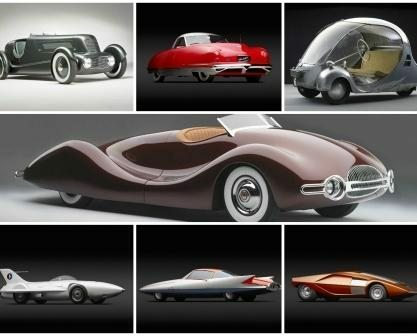 The Dream Cars exhibit showcases a collection of concept cars debuted between 1932 and present day. Though none were intended to make the production line in their full concept states, features of many would be incorporated into more road-ready vehicles that were mass produced in the years afterward. Among our favorites here at E3 Spark Plugs is the one pictured above – the Norman Timbs Special, built in 1947 as mechanical engineer Norman Timbs’ personal use. This car beautifully articulated the ideas of streamlining and wind resistance with elongated, curved forms made from just two hand-formed aluminum shapes. This stunning roadster, which had no doors, made the October 1949 cover of Motor Trend magazine.